This is what "The Present" will look like in Center City. 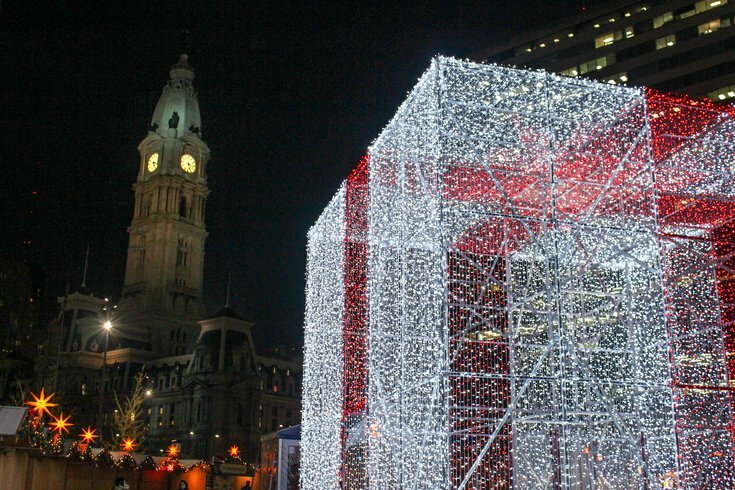 On Giving Tuesday, a gigantic present will debut at Christmas Village in LOVE Park. The new holiday attraction will stand 27-feet tall. Made from five miles of red and white LED lights, with more than 100,000 bulbs, it should be easy to spot. A view of what the present will look like at Christmas Village. 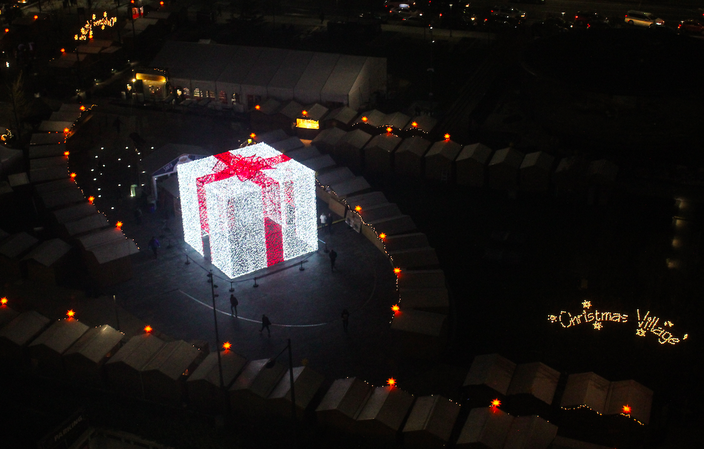 Visitors to the open-air German market will be able to walk through the giant gift, before browsing the nearly 100 vendors selling European foods, ornaments and goods from all over the world. From Tuesday, Nov. 27, through Christmas Eve, "The Present" will be open daily from 11 a.m. to 10 p.m. While visiting, guests are invited to make a $5 donation to one of three causes, which Bank of America will match. • Text PARKS to 501501 to donate to Fairmount Park Conservancy, which leads and supports efforts to improve Philadelphia’s parks. • Text BOOK to 20222 to donate to Welcome America’s holiday book campaign for Philadelphia Parks & Recreation youth programs. For every $5 raised, four books will be purchased. • Text HOME to 80100 to donate to Project HOME, empowering individuals to break the cycle of homelessness and poverty. Making a small donation, especially on Giving Tuesday, is a great way to kick off the holiday season.